Heading into a week four showdown at Soldier Field, below find three key match ups that will decide the outcome of Sunday’s game. 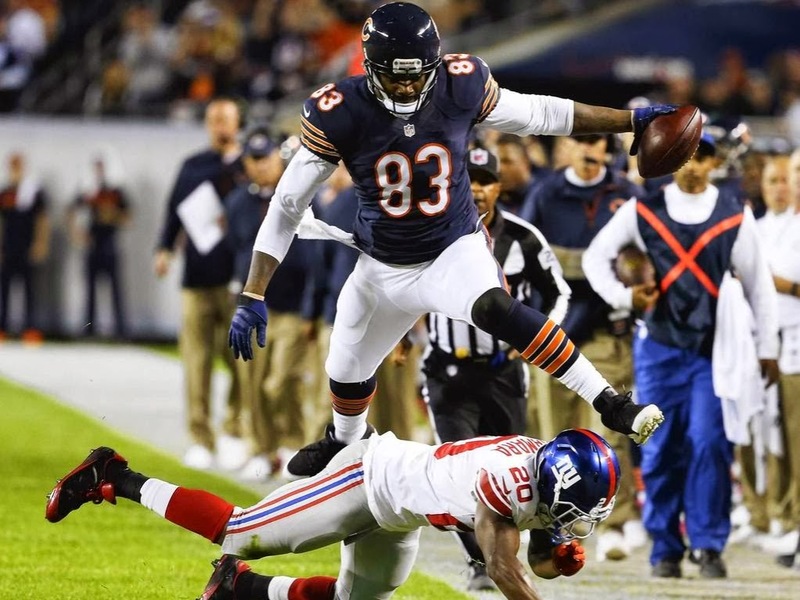 This match up pits the Chicago Bears most promising young talent and 14th round selection in the 2014 draft, against the NFL’s second leading wide receiver. Jennings will likely start on Nelson, but expect Fuller to also be lined up against Nelson at some point. Chicago would be foolish not to follow the Lions’ game plan of taking Nelson out of the game, but that doesn't mean Mike McCarthy won’t have more wrinkles in place to free Nelson. If nothing else, I expect Nelson will draw a little too much attention, opening the door for another Packers WR to have a big day. But is another Packers WR capable of having a big day? Someone else will need to make plays catching the ball from Aaron Rodgers for the Packers to win on the road. Bennett is Jay Cutler’s safety blanket. He caught two TDs last week, also proving he’s a dangerous red zone threat. With both Brandon Marshall and Alshon Jeffrey hobbled, the Packers can’t afford to forget about the Bears athletic tight end. With a few converted defensive lineman now playing linebacker for Green Bay, expect Marc Trestman to attack the middle of the field and challenge the guts of Green’s defense. Jared Allen has a long history of terrorizing As a Viking Jared Allen has totaled 15 ½ sacks on Rodgers in just 10 games; in two of those games Allen and 3 and 4 ½ sacks respectively, essentially dominated the Packers offensive line and QB. Allen hasn't put up gaudy numbers this season, but make no mistake, he’s put pressure on QBs and Sunday’s game is just the type of “get-up” game Allen fills up the stat sheet for. If the Packers can keep Allen out the their offensive backfield, Rodgers will have a much better opportunity to make plays down the field. I’m convinced that whichever team wins the above three battles will have a significantly higher chance of winning the game Sunday afternoon at Soldier Field. So who wins each of the three battles listed? Add your comments below or tweet me at @Titletown_Talk, or post on Facebook. Biggest disappointment through the first two games of the season? Adam: The biggest disappointment thus has been our commitment and execution of the run game. 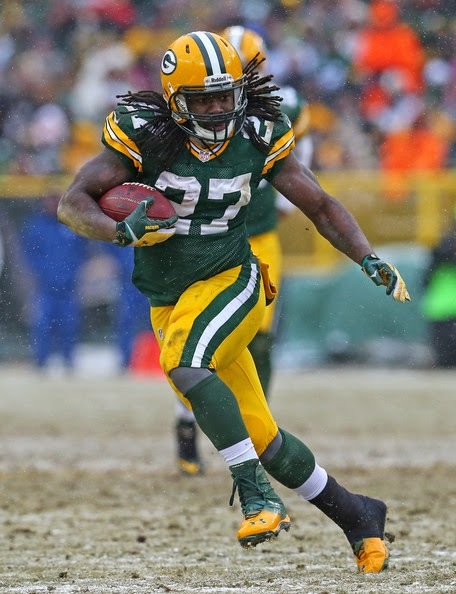 McCarthy addressed this early in the week that he regretted not getting Eddie Lacy more touches. Lacy has shown the ability to carry an offense and with the question marks on defense the Packers can only gain from a successful run game. It's going to require McCarthy's coaching awareness to not lose track of Lacy's usage and an offensive line that has performed below average two games in. Packer fans can be hopeful for improvement based on McCarthy acknowledging the need to involve Lacy more, Bulaga getting back into the lineup and recognizing their first two defensive opponents were among the best in the NFL. Shane: Lack of balance on offense. Why isn't there any production from the TEs? Because they need to block to keep our QB upright, but even that isn't working. The Packers need a TE who can stretch the middle of the field and give Aaron Rodgers a dump off option when he gets pressured. Balance also means giving our RBs a chance to impact the game. But I blame that on our defense who can't get off the field and puts the offense in a hole almost all the time. Mitch: The effort to run the ball. I know the Jets D line is tops in the league, but the offensive game plan from the get go seemed to involve little to no run game. Gotta get it going this week to open things up for #12. Detroit Lions are up next. Who is the one player the Packers must contain on that team, who has the best chance to disrupt Green Bay's game plan? Adam: The Packers have always done well stopping the run and forcing the Lions into difficult down and distance situations that allow the Packers to bracket coverages over Calvin Johnson. Joique Bell is the best chance for the Lions running and Packers have to start their focus on controlling the line of scrimmage. The Packers don't have the personnel to stop teams without the benefit of favorable down and distance situations. Stopping the run on early downs will dictate our defenses ability to keep the Lions in check. The Packers need to continue focusing on getting the ball out of Rodger's hands quickly. If Sherrod gets another start at tackle the biggest disruption potential lies with edge rushers matched up on Sherrod's side. The Packers can neutralize this matchup problem with draws and screens to that side and obvious RB/TE double teams. Shane: Ndamukong Suh. The Packers offensive line is suspect at best and Suh is a top-5 pass rusher in the NFL. If he's not double teamed, chip blocked and dealt with, he will terrorize Aaron Rodgers in loud environment that is Ford Field. Mitch: Calvin Johnson. Plain and simple. He could single handedly terrorize us. The Packers face another great run defense in Detroit. Will their approach change and will they have success running the ball in Detroit? Adam: I think there needs to be a concerted effort to run ball. Ball security and control is huge on the road and especially with the performance issues of our offensive line. I hope that McCarthy comes out setting the tone and has a game plan to pound the rock right out of the gate. I would still expect a 60/40 pass first approach, but with the right play calling I expect Lacy to put up 90 yards and TD. The Packers have played catch up seemingly all season limiting their ability to develop run/pass equity. The key is to start fast in all three phases. Playing with the lead will make the run/pass mix much more unpredictable and effective. 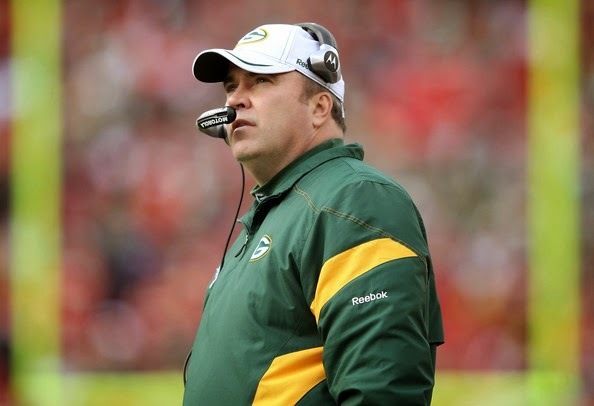 Shane: Mike McCarthy needs to show a better dedication to the run game. Yes, I know it's difficult when the team is down 21-3, but feed Lacy the ball. He rarely runs for negative yards and frankly, I don't care if the Packers go 3 and out a few possessions; they do best setting up the pass with the run, using play action and throwing 80-yard bombs to Jordy Nelson. And there will be many more bombs if only the Packers could establish a little more balance. Mitch: It has to change for us to win in my opinion. Just the presence will open things up in the passing game and make it that much easier for Rodgers to do his thing. Even a mediocre secondary can play well when the offense passes EVERY single play. Lacy gets 80 yds and a touchdown. Adam: Aaron Rodgers is 9-1 lifetime against Detroit. Difficult game, crucial road division game. I'm sorry Detroit, but the Packers are still your daddy and daddy's hungry for a win. Packers 31-24. Shane: I just don't think the Packers are physically stout enough to win the battle on either side of the line. The Lions defensive front will cause havoc, pressure Rodgers and stuff the run game. On defense, the Lions are great at protecting the QB and I think you'll see Golden Tate especially have a huge game. And Calvin will have at least one 50+ yard TD catch, obviously. Packers lose 34-24. MVP for the Packers is Randall Cobb with 125 yards and another TD. 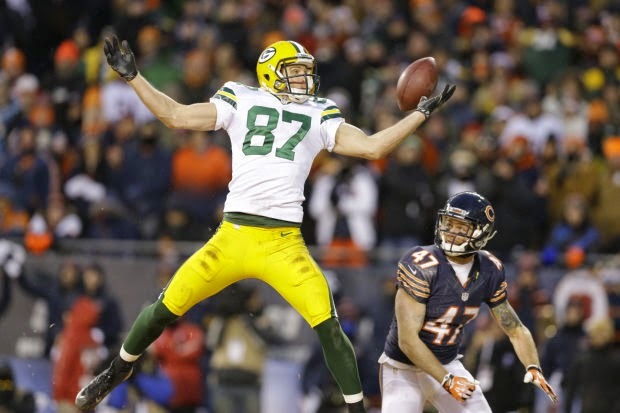 Which aspect of the Packers team concerns you the most after the preseason and why? Could be a single player, position group, etc. Adam: Safety and middle linebacker. Micah Hyde is talented, but out of position. Morgan Burnett seems to consistently be a step late. Ha Ha Clinton-Dix needs time and reps to become a player maker. AJ Hawk is an average linebacker. Brad Jones is undersized. These are pivotal positions for elite defenses to have difference makers and there just aren't any on the roster. Shane: The defensive line. With BJ Raji out for the season and new faces across the line, the Packers will have a tough time winning against the league's top offensive lines. The strategy of getting more "athletic" and "quicker" on the line is questionable and may seriously hurt the run defense. And we all know being a top defense starts with making the opposing offense one dimensional by stopping the run. Name one player who you think will surprise Packers fans early this season and why. Adam: Richard Rodgers. It's been impressive to see him pick up the offense so quickly in a position known to be a difficult adjustment at the pro level. He's got the physical tools to double as a good blocker and an even better pass catcher. Classic Ted Thompson diamond in the rough. Shane: Micah Hyde. Is Hyde a true safety? Maybe not. But the kid is athletic, instinctive and smells the football like a shark does blood. I'm not saying Hyde will be perfect - most fans would expect him to make some mistakes - but I think he'll also make some BIG plays early. And while he'll split time with Ha Ha Clinton-Dix, I think this situation presents the perfect balance for two players adapting to a new environment. Look for Hyde to become the much needed big-play body on the Packers new look defense. Give an analysis of the Packers defensive performance this preseason and your prediction of where they'll finish in defending the pass and rush. Adam: The Raji injury is a blow to the defense that knows stopping the run and limiting big plays are among their biggest opportunities. I'm predicting low- to mid- teens in both categories. The offseason has been focused on the run defense and I would predict that ending up slightly better than the pass defense which is still below average at safety and has struggled to get pressure without blitzing. Shane: Green Bay's Run defense certainly looked improved, minus a Maurice Jones Drew long TD run against the Raiders. I'll be very interested to see how the preseason success translates to defending a top-five NFL rushing attack in the regular season. Passing-wise, I predict the Packers will finish in the top 12 and in the rush department, top 15. Dom Capers might be out of a job if this unit doesn't take a significant leap forward, given its improved talent and personnel that more closely fit Capers' vision. Name one thing the Packers MUST do well to have a chance of beating Seattle week one. Adam: Its all about communication at the line of scrimmage. Limiting the pressure on Rodgers and penalties. Not an ideal situation for rookie fifth-round pick Corey Linsley's debut. 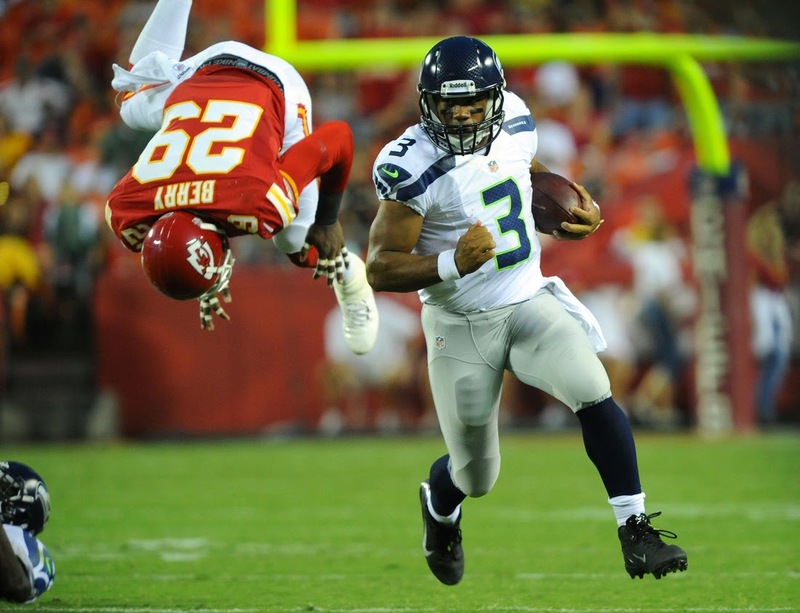 Rodgers was sacked eight times last time in Seattle (2012). Shane: Limit Russell Wilson's effectiveness outside the pocket. Wilson is deadly when passing outside the tackles and is one of the best in the NFL at knowing when to tuck, when to move and when to run. If the Packers can contain him, Seattle's defense will sputter and be unable to keep up with the Packers potent offense.